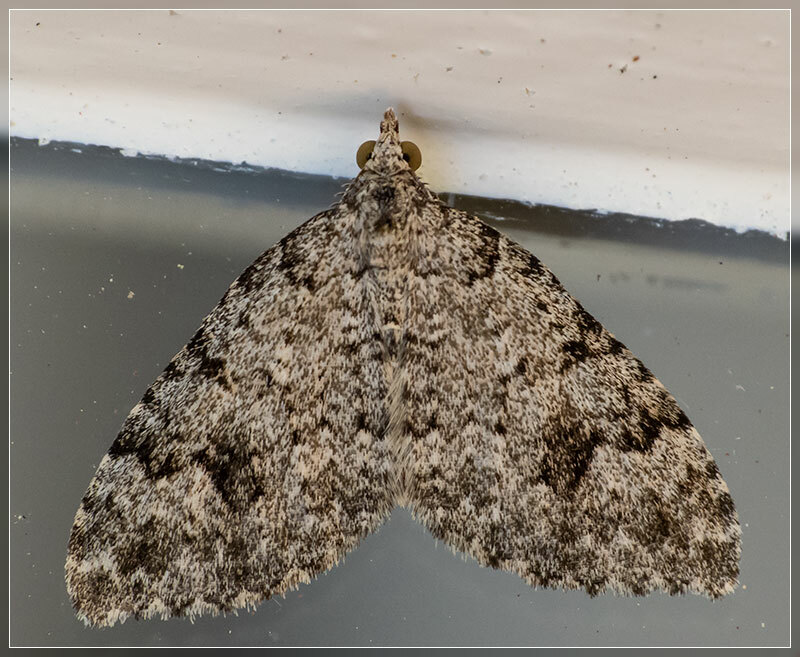 Travis workday, Saturday October 20 2018, 9 am – 12:30.
house) behind the Beach Rd car park at 9 am. We will be planting coastal forest plants either on the dunes or near Beach Rd. Please wear appropriate clothing and footwear, Travis is wet at present. There will be morning tea afterwards for those that want to stay for a chat. 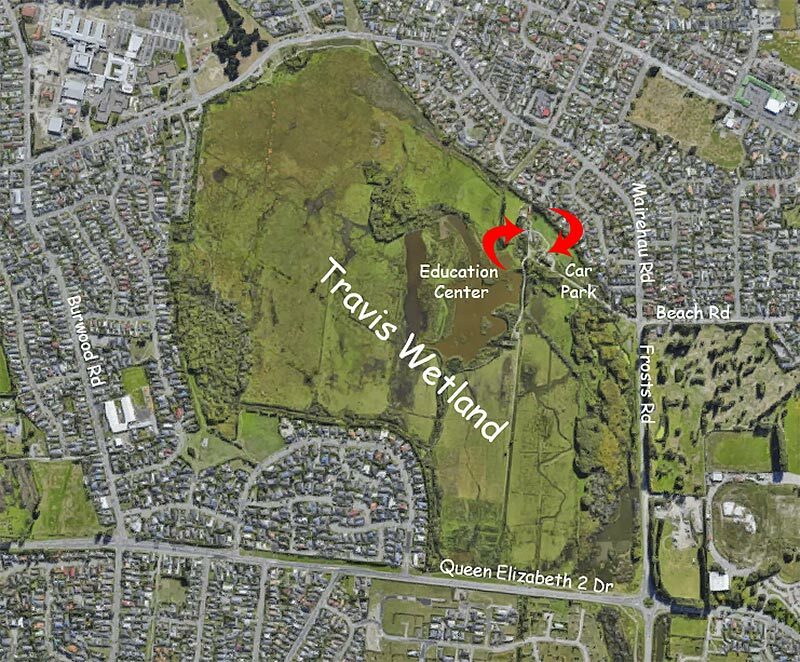 On the Tuesday following the work day the Travis Wetland Trust Annual General Meeting will be held at the Education Centre at the wetland. Please come and join us for the meeting, supper and guest speaker Gabe Ross. Gabe Ross is the founding coordinator of the Te Manu Waiata Project – Sumner Predator Free backyard trapping project. A landscape Architect by day he was prompted by an invasion of rats in his flax and possums in his puka at his rental property to get involved in with predator trapping on some local bush reserves. 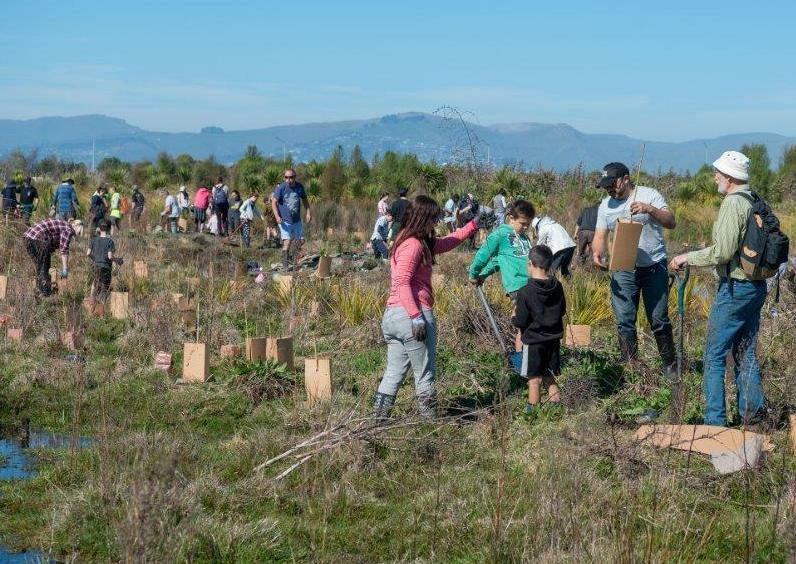 A successful application to the Predator Free NZ Trust Kiwibank Predator Free Community Scheme allowed him to kick off a backyard trapping program – Te Manu Waiata /the bird song project to help native birds, insects and invertebrates thrive. Since it’s launch in October 2017 the project has deployed over 350 traps in the Sumner area and has dispatched 572 rodents, possums, and hedgehogs. Gabe will give a review of his experience establishing a predator control project and outline lessons learned along the way. This was an important day on our calendar and it was great to have a mild and slightly cloudy start to the day. Early risers from Travis Wetland Trust, Trees for Canterbury, friends and volunteers from various organisations buzzed around preparing food and equipment for the big day. The Trust had purchased some new gumboots before the event and these were a very popular loan item for volunteers. Our registration area soon doubled as a shoe minding service as swarms of people of all ages arrived and prepared themselves for action. It was hard to keep up with volunteer arrivals and we estimate that close to 200 people turned up. 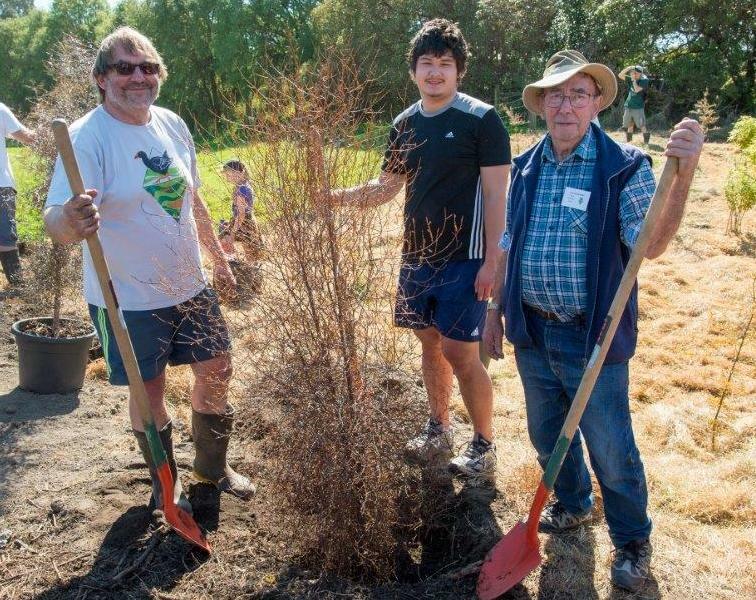 All ages were represented and we were pleased to welcome Trees for Canterbury volunteers, a group from Selwyn House School and Canterbury University student volunteers. 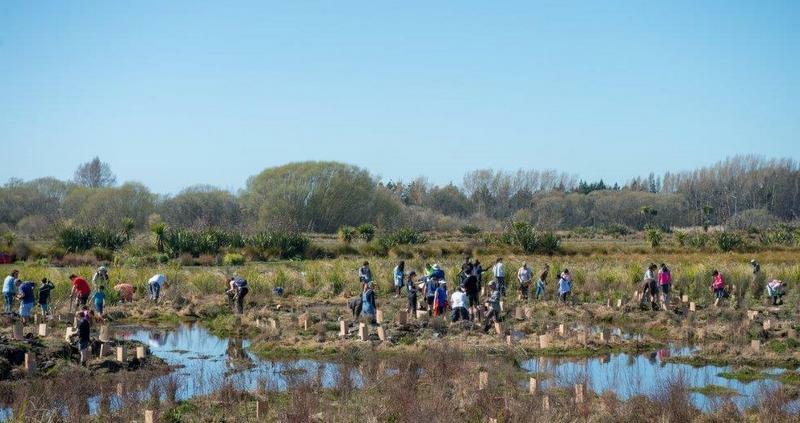 After the long walk to our planting site at the southern end of the wetland everyone needed their gumboots to squelch through thick mud and murky water. Planting demonstrations were given by ranger Kenny and we learnt how to use a new type of plant protector made from specially treated cardboard. Hopefully these will perform well for us and reduce the need for plastic combi-guards which, if left too long, can break down and release plastic fragments into soil and waterways. Trees to be planted had been placed in advance over a large area, mostly between specimens planted last year. It was quite a sight to see so many people planting and we were very pleased that most of the 1000 plants were in the ground before the end of the morning. Ranger John Skilton, with his arm in a sling, was kept very busy moving between groups of planters to take photos of the action. Mayor Lianne Dalziel joined in and later spoke about the enthusiasm of the long-serving Trees for Canterbury volunteers she planted with. 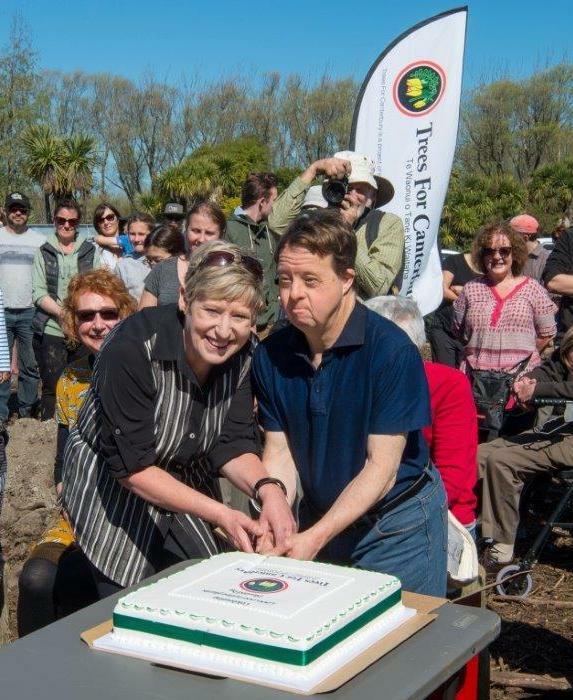 The day was very special as Trees for Canterbury celebrated donating 1 million trees to our region. Most planters stayed to hear speeches and witness a grove of commemorative trees being planted close to the Beach Road entrance. 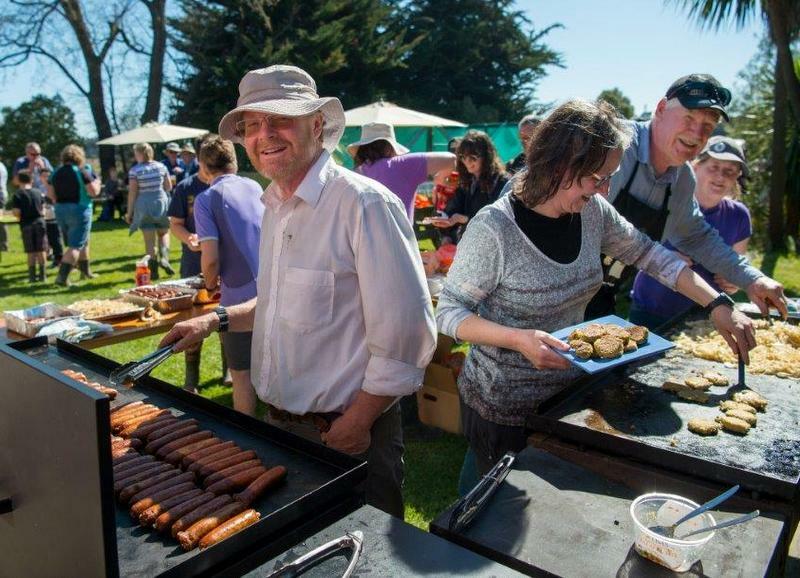 By then it was lunchtime and a massive barbeque operation ensured that planters did not go home hungry. Two large cakes celebrating the 1 million trees were rapidly consumed too. Thanks to everyone who helped to make this event such a success. It was great to see so much cooperation between organisations and individuals to continue with the greening of our city. Stealthily raupo filled up the pond in front of the information centre at Travis obscuring the view and reducing the natural light. But some deft work with a digger by contractor Niall Mugan of Keystone Ecology cleared nearly all of it away to restore the vista. What a transformation! 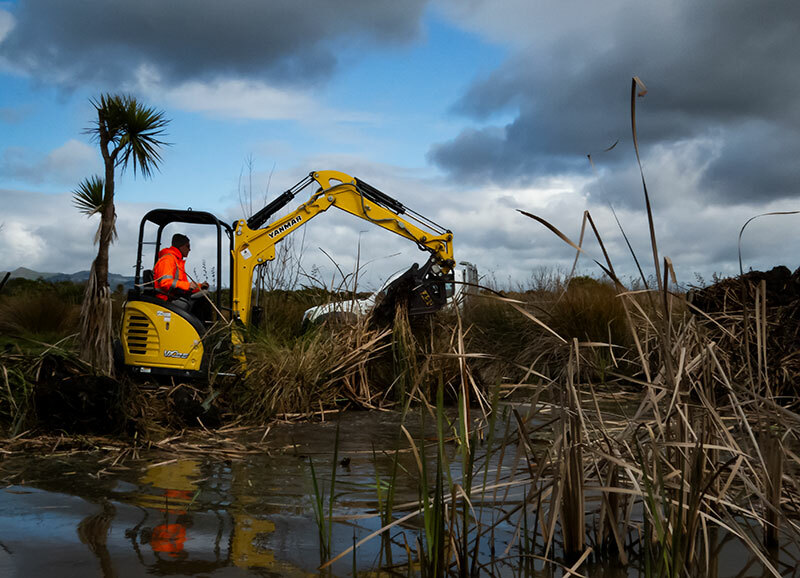 Raupo is a valuable native wetland plant that provides excellent habitat for the rare Australasian Bittern, which is present at Travis. However, given full rein it would slowly cover all the wet ground and shallow water. 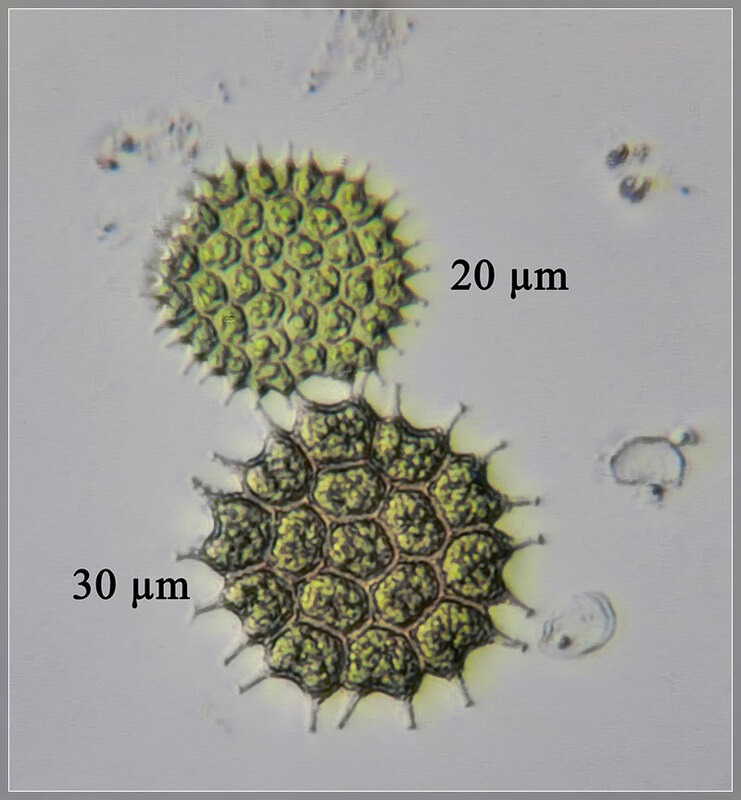 Over time it would probably cover all the open water because its annual cycle of growth followed by dying back and depositing its foliage gradually makes the water shallower. So there is a programme of raupo control at Travis and a line in the water has been drawn, beyond which the raupo is not allowed to expand. 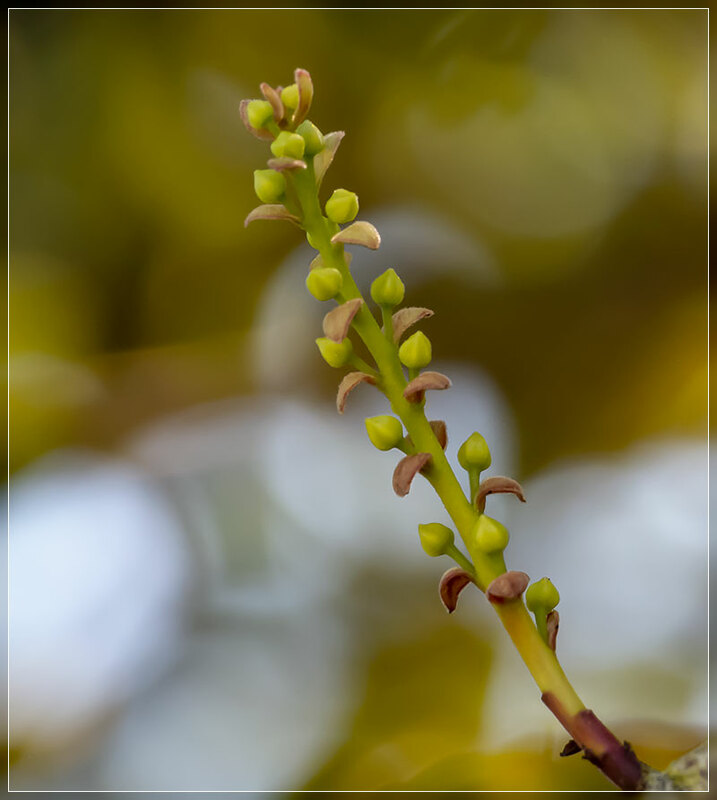 It produces masses of wind blown seed each year and easily spreads across the wetland. Therefore constant vigilance is needed to ensure it doesn’t gain a foothold where its not wanted. Niall’s digger couldn’t quite reach a tuft of raupo in the middle of the pond in front of the information centre. Do we have a volunteer to wade in and dig it out? We can only piece together your story. Perhaps you were ‘rescued’ as a young fluffy chick. Maybe the family cat took you home! You must have become part of a concerned family who fed & nurtured you. Your feathers grew lustrous in blue, black & white. Your powerful long red legs and strong beak adapted to constant probing and pecking at every living thing outdoors, must have been worrying for your adoptive family. But they cared about you very much and as your wings grew they clipped them so you couldn’t fly so they could continue to keep you. Wing clipping was a good prevention to flying but the challenge to keep you became too great. You arrived in a cage and were released at Travis Wetland. You were still a young bird unfortunately not one of the ‘clan,’ you were immediately set upon by the local pukeko. 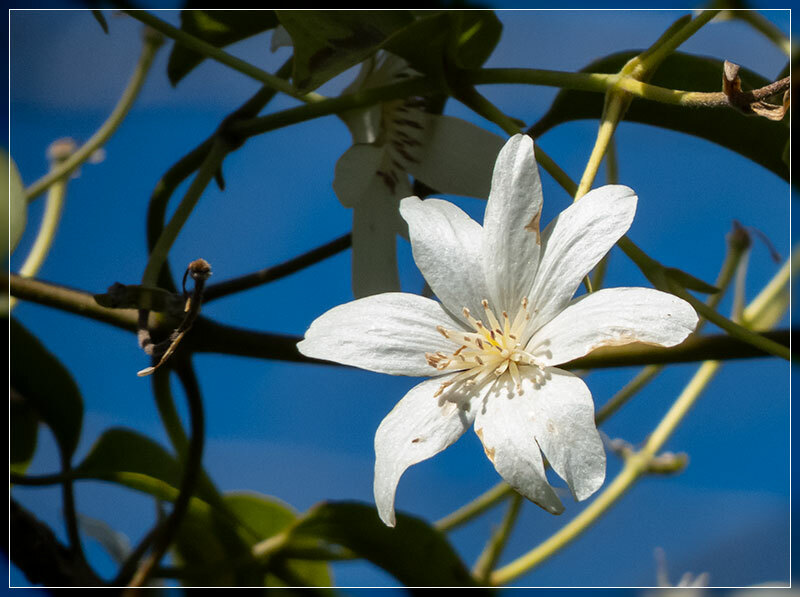 Unable to defend yourself you scrambled up a lemonwood tree. Immediately another pukeko flew above you squawking loudly. It seemed to be tormenting you. Harassment continued throughout your short life, with cats joining in. You stayed along the pathway particularly around Clarevale, foraging and delighting many walkers. A family reported that you followed them all the way round the Wetland! Your wing feathers seemed to grow a little & you would push them up and out as though practising for your first flight. Alas it was never to be. Thank you regular walker for alerting us to the fact that a dead pukeko was lying on the side of the track. Investigation confirmed that it was Bravo. We fondly buried the lifeless form which didn’t appear to be damaged. Trees are planted to honour the bird. Lemonwood and a Kowhai as they are in full bloom, just as the pukeko was. So many families stopped to interact with the trusting pukeko. It would undo shoe laces, peck at footwear & allow passer’s by to stroke its soft glossy & very sleek feathers. Its red eye would gaze. A treasure lost. P. S. If you happen upon a wild bird or chick in trouble, please resist the temptation to rear it as your pet. 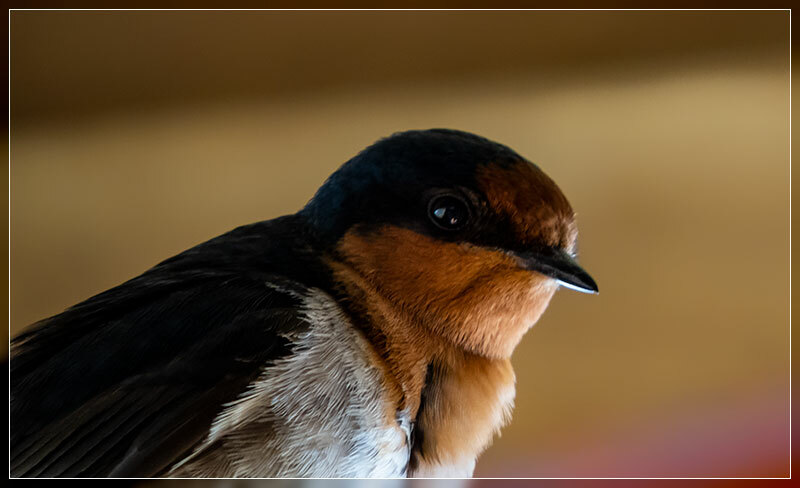 Do call for advice from the Animal & Bird Hospital, The South Island Wildlife Hospital [Hussey Rd] or call our Travis Wetland Rangers. They are very experienced & will give you the right advice.